My rose garden in spring in full bloom and foliage. I got an email the other day from someone who was concerned because her roses were losing leaves in the midst of summer. They were new to roses and understandably concerned by this. It was hot where they were and they’ve had little rains. She’d read my post about watering less to force roots deep and was trying to follow that. I would imagine with this heat wave sweeping its way across the country others are seeing leaf drop on their roses. And likely are also concerned and wondering if they should water more. First let me say this to hopefully ease your minds. Summer leaf drop on roses is perfectly normal. Happens all the time. It’s just that with the temperatures we are getting it’s more pronounced this year. The same angle taken in Mid-July. As you can see I've lost leaves and that is normal. In my experience roses are not happy campers when the mercury soars. Most plants aren’t. When it gets this hot roses enter a semi-dormant state not unlike when winter comes around. They do so even more so when the night time temperatures are also hot. We’ve been experiencing that around here. We are in the foothills of the Blue Ridge Mountains and normally our evenings are comfortable despite what happens during the day. But this past month has been hot even at night and I see my own roses dropping leaves and going to sleep. They aren’t blooming or growing much. 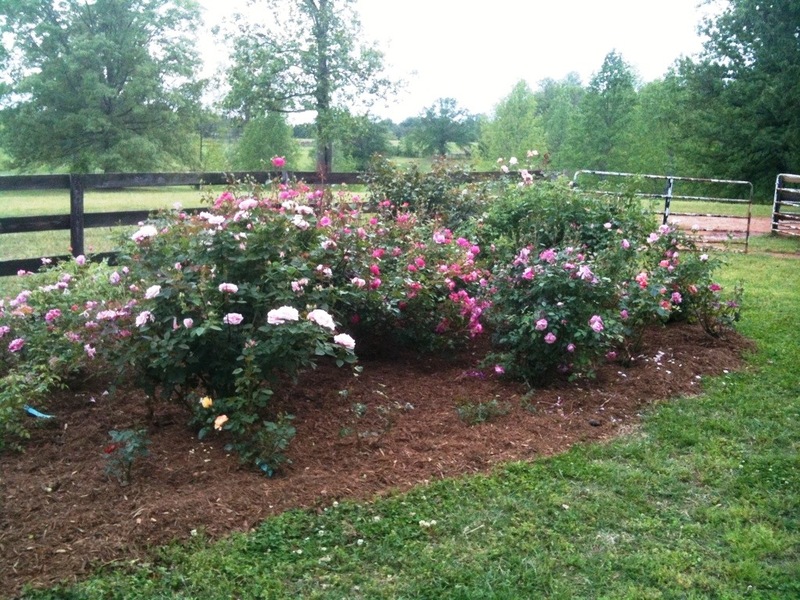 I have few blooms, scant new foliage and shoots – all of which tells me the roses are having a good nap. They also shed leaves because plants can actually lose water through their them when it is hot. So what’s the best way for them to preserve the water they have? Loose some leaves! Just nature doing what nature does best. As to increasing watering unless you are seeing your roses actually droop I wouldn’t increase it. I realize the temptation is there but since the roses are semi-dormant they actually don’t need it. In fact you can easily overwater which really stresses the roses. So keep in mind my little rule of watering. Water heavily, mark that date you did so and then wait. When the roses droop you’ve gone one day too long between watering. And that will give you your watering schedule. So don’t worry about the leaf drop, don’t overwater and wait for those cooler nights when we get closer to the end of summer. 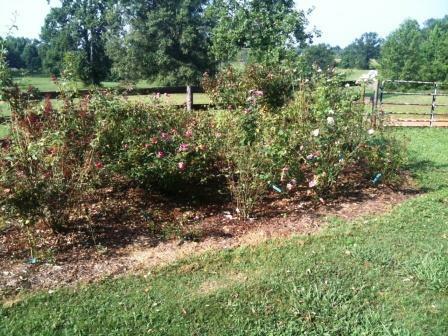 Your roses will wake up and start dressing themselves for the big fall show.